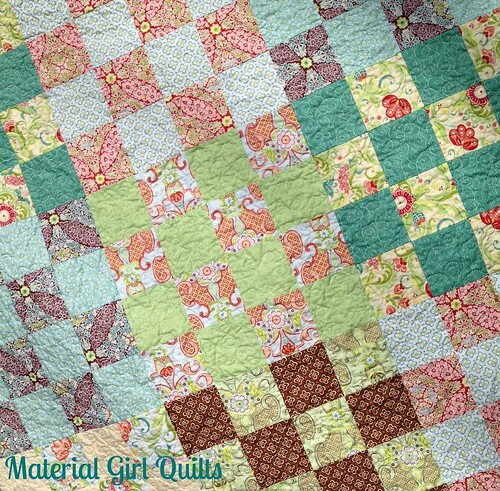 Since I've been off work for winter break, I was able to squeeze in one more quilt finish in 2013. You may recall this beautiful stack of fabric from a couple of weeks back. 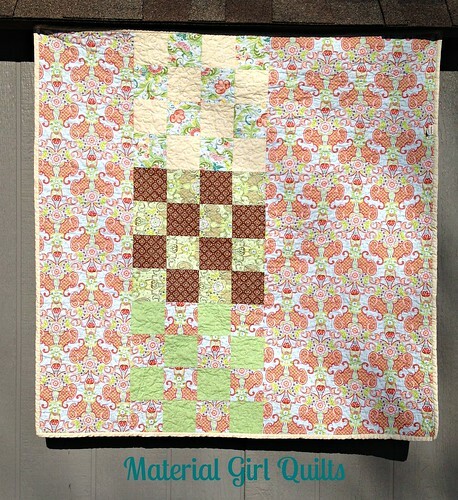 I had originally purchased it planning to make a 16 patch quilt. And when I found out a friend was having her first baby girl, I just knew I had to use these pretty fabrics. I wasn't sure if I should use a different pattern, but in the end I stuck with my original plan of the 16 patch. I followed Steffani's tutorial for the St. Louis 16 patch found here. I love the colors in these fabrics. They are very feminine without being too "pink". 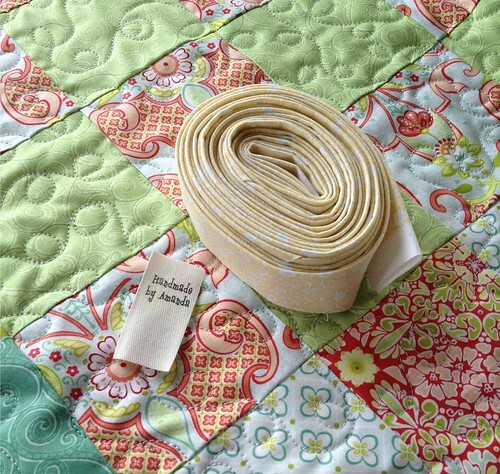 The St. Louis 16 patch tutorial uses fat quarters and will give you 14" finished blocks. That seems rather large for a baby quilt, but I think it turned out beautifully and with 3 rows of 3 blocks, it works out to be a perfect baby size of 42 1/2" when finished. Since I started with 12 fat quarters, I had a total of 12 finished blocks. While I was laying them out I decided to only use 9 for the front and then move the three extras to the back of the quilt. Can you believe that I actually was able to line them up perfectly with the quilt top so that I didn't have to add strips on each end?! I was pretty happy with myself after that one. 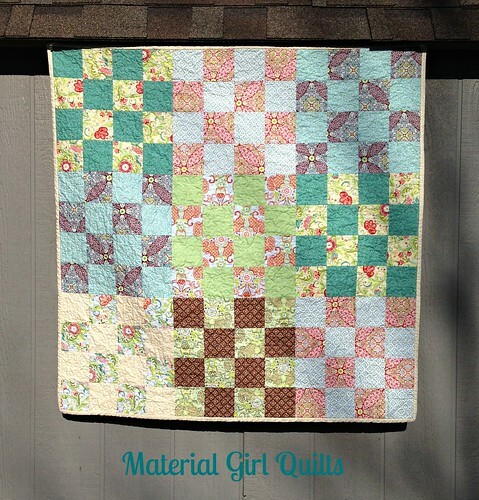 This makes completed quilt #22 for the year! Thanks so much for stopping by and I hope you all have a wonderful new year!